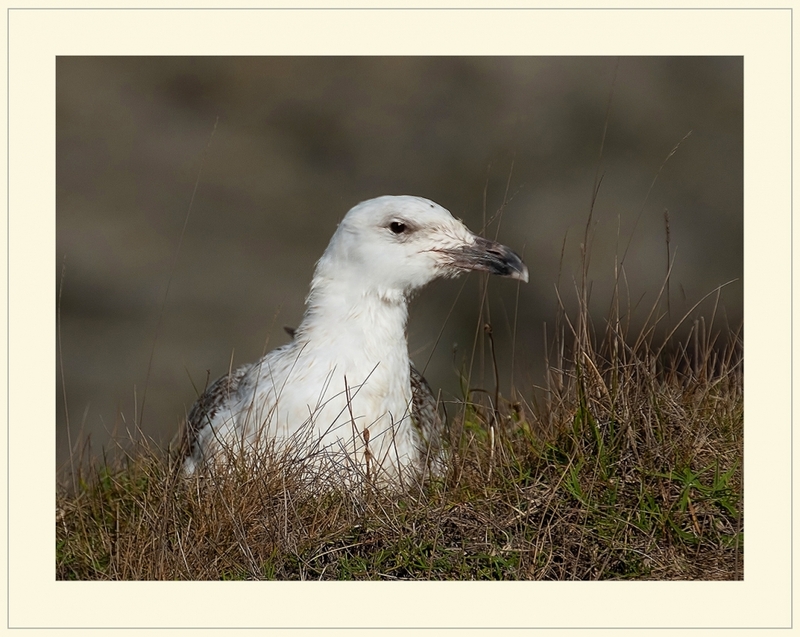 Juvenile Black Backed Gull (I think). As corrected by Rye. If looks could kill you would be toast! Juvenile Black Headed Gull (I think). Nicely caught, however I think it's likely to be Black Backed Gull (Lesser or Greater), Black Headed Gulls have a much slender bill. I have just realised that when I answered a comment on another Forum. Thanks Rye. You absolutely right I'm sure. Thanks Rye. You absolutely right I'm sure. This is a juvenile Black Headed Gull, you can see the slimmer beak, which is red/black and also the spot behind it's eye - adults have this when they are not in their breeding plumage. Yours could also be a juvenile Herring Gull or Yellow Legged Gull as they all have a similar colouring and that thick bill. Another cracker of an image, John - I love the expression. Yeah ... it says ..Togger beware ! Thanks Denis. I guess they are just seen as a bit too common or Garden.